Anyway, Soompi continues to follow the daily Korean media stories about Keun Suk's new comedy drama that is part fable and part true to life. As the media has stated over and over again, it's a roller coaster ride of excitement, intensity, and comedy that will keep the viewers glued to their chairs and anxiously awaiting the next episode. 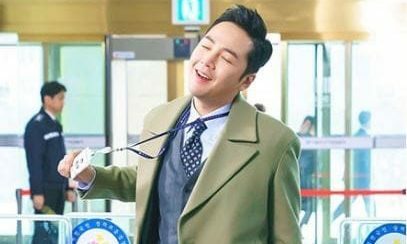 This latest Viki article accurately summerizes yesterday's Korean media articles about Keun Suk's portrayal of Sa Do Chan...who essentially is a charismatic and delightfully amusing character. Without a doubt, Jang Keun Suk is perfect in these dual roles! SBS’s new Wednesday-Thursday drama “Switch” released new photos of Jang Geun Suk as Sa Do Chan, a genius conman who originally fails to become a prosecutor. “Switch” revolves around the story of a conman-turned-prosecutor who makes criminals pay for crimes that prosecutors did not. Jang Geun Suk will take on two roles, Sa Do Chan, a swindler and wannabe prosecutor, and Baek Joon Soo, a prosecutor who follows the law to the smallest of details. In the photos, Jang Geun Suk appears as if he’s dancing his way into the prosecutors’ office. He can’t hide his elated expression, and he is all smiles as he enters his new workplace. His cheerful appearance perfectly portrays the easy-going and lighthearted nature of Sa Do Chan. These shots were taken while he was filming on February 27 at Asan in South Chungcheong Province. 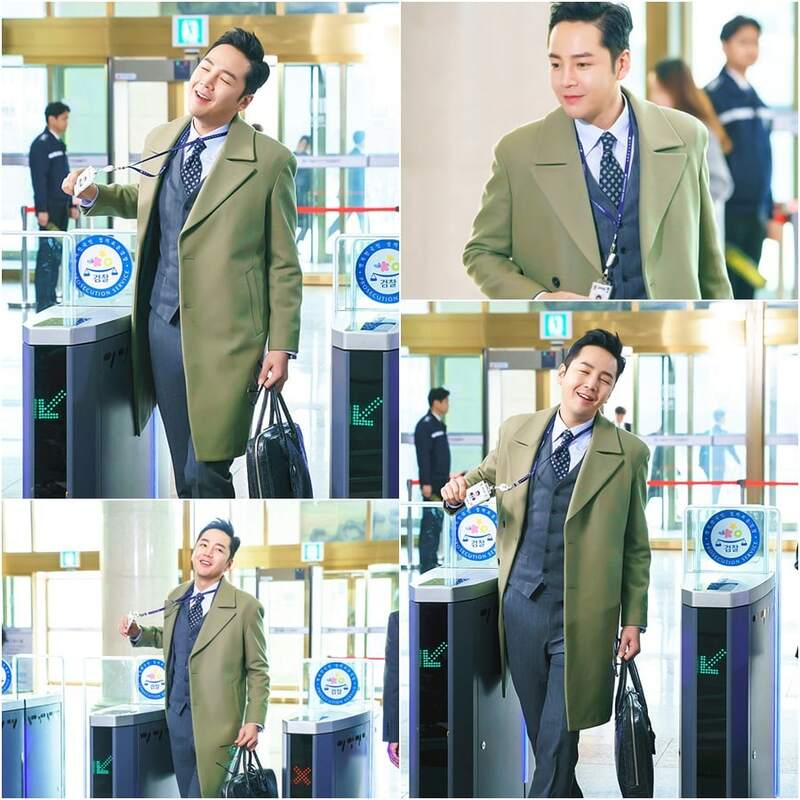 Clad in a stylish trench coat, Jang Geun Suk acted out exaggerated movements and humorous expressions that made everyone on the film set burst into laughter. The actor is known to meticulously choose the outfits for fashionista Sa Do Chan himself, and he also researched how to come up with the best expressions, gestures, and way of speaking to define his sly yet charming conman character. It is a wonderful company figure!